It's no surprise that late night TV has been a White Boy's Club for a while now. Finally this year Comedy Central gave Larry Wilmore, former Daily Show correspondent, his own show, The Nightly Show. While it's technically a spin-off of The Daily Show, the topics covered are much more niche, often dealing with issues faced specifically by minorities. So far the series, which premiered in January, has covered everything from Indiana's anti-gay "religious freedom law" to the media's abhorrent coverage of the protests in Baltimore (i.e. Fox News using the phrase "Black Gorilla Family" 4,000 times and wondering aloud if the cops are frustrated while the "thugs go thugging"). 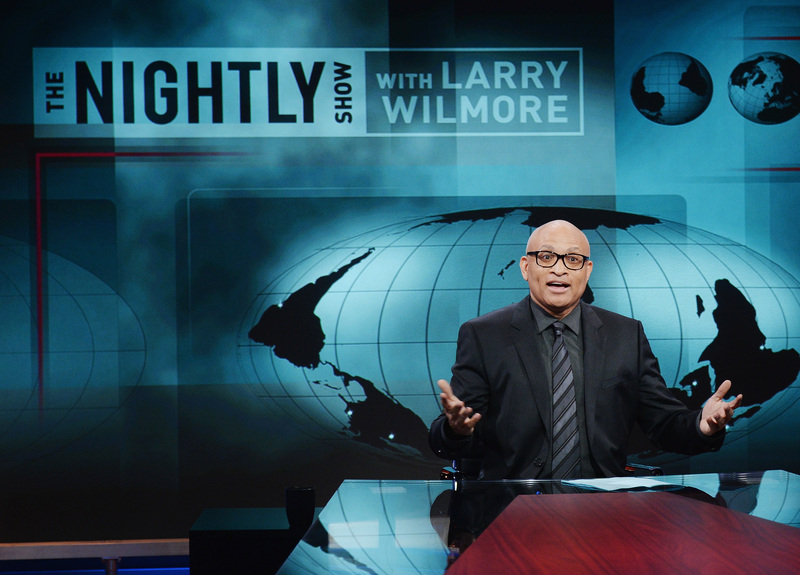 "The goal of our show is to really advocate for the underdog as much as possible," Nightly Show Executive Producer Rory Albanese says. "Being able to sit down and have a conversation about topics that people don't really want to talk about goes a long way." Topics are chosen not only by what's happening in the news, but also what Wilmore himself is passionate about. "The biggest key to any of the stuff we do on the show is Larry's interest in it," Albanese says. "He did a straight-to-camera commentary on the shooting that occurred in South Carolina with Walter Scott and it wasn't really straight comedy, it was really more of a passion piece." The diversity of topics on the show is a reflection of the diversity in the writer's room, led by head writer Robin Thede. "Larry and I were really passionate about putting together this group of people, and we didn't want to just hire within the industry. Our writers come from so many different walks of life and so many different places." Despite the fact that a lot of young people get their news from late night comedy shows like SNL and The Daily Show—with statistics showing that Jon Stewart is more trusted than MSNBC -- Albanese has a hard time admitting the importance of a show like The Nightly Show. "It's hard when you're in it to see it as something that's important," Albanese says. "At the end of the day it's a TV show, and that always seems important to a point." While they may not be setting out to change the world, they are at least trying to make holidays with your conservative relatives more bearable. "We're doing our best to take heavier conversation topics that would probably annoy people to have with their uncle at Thanksgiving, because it'd be shouting, and have a reasonable conversation."